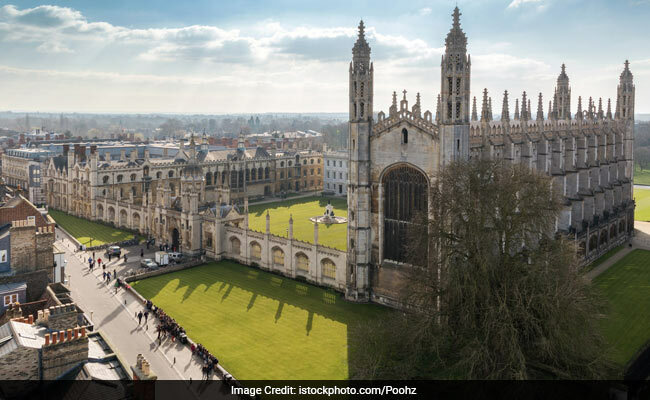 New Delhi: Several British Universities have requested the UK government for a 'new immigration policy' to encourage more international students to apply to UK for higher studies. Recent figures have shown a decline in number of applicants from countries like India. Universities UK, which is the representative body for higher education institution in UK said that the decline in international applicants due to the perception of being unwelcome was worrisome. The body also urged British government to drop international students from its annual target of immigration cuts. Dame Julia Goodfellow, President of Universities UK and Vice-Chancellor of the University of Kent told Press Trust of India, "While the UK government continues to count international students as long-term migrants in its target to reduce migration, there is a continued pressure to reduce their numbers, adding to the perception that they are not welcome here." She also said that if UK wants to keep its spot of the top destination for international students, it would need to formulate a new immigration policy which prompts students to choose UK as their study destination. Addressing the Brexit issue, she said that as UK prepares for Brexit, it is important more than ever to send a welcoming message to talented people from across the world. Goodfellow said that the number of international enrolments has declined over recent years. "At the same time, competitor countries such as the USA and Australia have seen increases. Both countries open their arms to international students and classify them as being non-permanent or temporary residents in their immigration systems." Her comments come in the wake of a new ComRes poll which was commissioned by Universities UK. The poll found that almost 73% of the British public were in favor of International students coming to study in the UK. The poll also revealed that most people surveyed don't view international students as immigrants. Only 26% of the British public saw international students as immigrants when thinking about government immigration policy. Goodfellow said that the poll's findings clearly reveal that the British public does not see international students as immigrants but as valuable, temporary visitors to the country. She said that the UK has the potential to become one of the leading destinations for international students. The public poll was conducted last month in which over 4000 adults were surveyed . 75% of those interviewed agreed that international studnets should be able to work in the UK for a fixed duration after they finish their graduation, seen as a major factor behind the drop in international applicants in recent years. The latest Higher Education Statistics Agency (HESA), UK's official agency for the collection, analysis and dissemination of quantitative information about higher education, revealed earlier this year that although Indian students still remained the third largest category of students from outside the European Union, there was a registered decline of 9% in 2015-16. HESA said, "India saw the largest percentage decrease, at 44 per cent between 2011/12 and 2015/16. In numbers, this meant that in 2015/16, the number of student enrolments domiciled from India was 13,150 less than in 2011/12. It is worth noting however, that the decline in student enrolments domiciled from India began a year earlier, in 2010/11." Universities UK and several other groups have requested the UK government for a new immigration policy for international students over the years. Lord Bilimoria, leading Indian-origin entrepreneur and Cobra Beer founder, who himself had come to the UK as a student said that over the last five years, the number of Indian applicants has decreased to almost half and that he has been consistently asking the government to remove students from the net migration target. "We should immediately re-introduce the two-year post- study work visa, which I fought hard to introduce before its withdrawal in 2012, to allow foreign students to implement their much needed skills here and help boost our economy," he added.